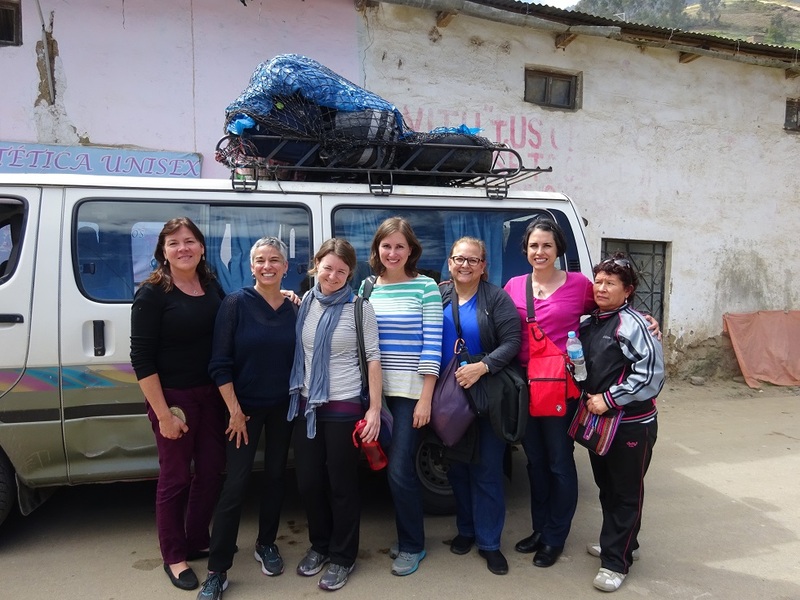 This afternoon, the remaining group in the Chimbote area (Lisa, Ana, Ada, Denise, Amado, and the missionaries: Tessa and Nicholena) traveled with the Pushaq Warmi women’s group to the Pamparomas area. 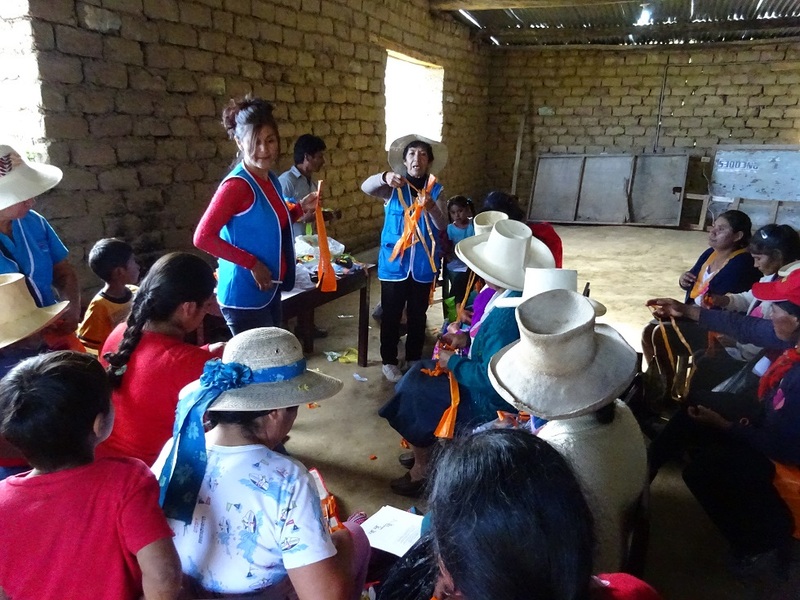 We supported the women’s group as they met here with a small community in the mountains (about 30 people ranging ages from young to old). They gave a presentation covering multiple important topics (chief among them, self-respect and the importance of cleanliness in preventing disease). The Pushaq Warmi group did a great job in conveying their group message and the concepts that they had brought for discussion. Following the presentation, the Pushaq Warmi women demonstrated crafts that could be made out of plastic trash bags to hopefully stem one type of trash in the area. The used bags were cut into strips that were woven together to create decorative hats or other craft items as well as a bouquet of flowers. By the end of the craft session, everyone was excited with the possibilities of what could be created. With some effort, the community will be able to kill two birds with one stone: eliminate a major source of trash while also creating crafts that might fuel a source for business. Our full group was welcomed with open arms and by the time we had to leave (to beat the encroaching darkness for our drive back to Pamparomas), the community was asking for a return trip. Tonight, the group is camped out at 9000 feet at Pamparomas in the Andean Mountain range. We’ve left the warm, humid weather that we’d been mired in throughout the week in Chimbote and are all bundled up tightly for a night of fresh, chillier air amidst the mountains. It was an interesting day of travel. Leaving Chimbote, you drive through arid and barren deserts. Those cede to vast fields of sugar cane as you approach the inland mountains. 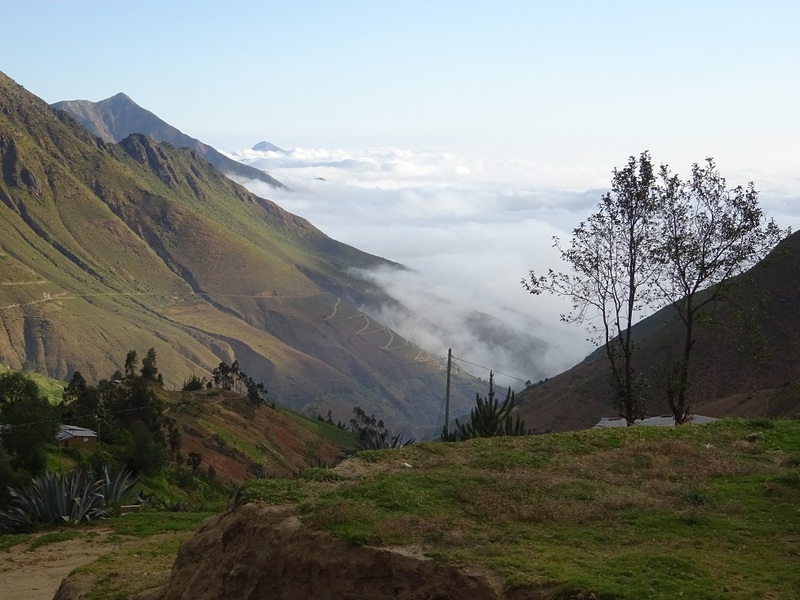 As you begin to rise in elevation, the land becomes greener and you start to catch some of the rain that is so tantalizingly close but eludes Chimbote. The path up the mountains is not for the faint of heart (or stomach). You travel a winding one-lane road that becomes thinner and thinner as you make your way higher. As you climb ever higher, the paved road ends, giving way to dirt roads that have been visibly washed out in areas. The small, packed van hugs tightly and precipitously to the edge of those mountain roads. The mountains froth forth with water in various places from the rains at its peaks, and the van has to ford those small streams where the water crosses. But the pay-off at your destination is worth the treacherousness of the journey. In the mountain community, the mountains open up and you can see out towards a vista that extends towards the ocean. A thick layer of low hanging clouds from the ocean air fills the gap between the mountains, creating a sea of white, complete with waves and ripples. Behind you the mountains stretch ever higher and are topped with their own set of rain-bearing clouds. Hidden from the rest of the world, it would be quite a beautiful and serene place to live. Cows, pigs, sheep, goats, and chickens roam the mountainside feeding on the gifts of the land (in a few places, we had to slow our travel to allow cows to pass across the road). We were also treated to a fantastic (and filling!) lunch this afternoon. Some of the group even ventured to try the cuy (if you don’t know, don’t look it up, you probably don’t want to know). As is typically the case in this area of Peru, the fixed menu (which included a soup, meat, potatoes, and rice) was heavy on food, but light on the wallet, costing only 10 soles (about US$3.33). Though the folks from this area are acclimated to the altitude and having to walk uphill/downhill to get anywhere, we’re all exhausted from the few short hikes that we took throughout the afternoon. The children in Pampa were literally running up and down the mountain in circles around us as we struggled at a snail’s pace to make the same climb. Nearly the entire group turned in for the night near 9 pm after the full and thrilling day. Tomorrow, we get to experience the fun drive again as we make our way back down to Chimbote… Here’s to hoping the brakes work! The teachers left with homemade play dough, origami books, norm charts and learning center signs. Lakeshore Learning donated bags for each teacher. Thank goodness the teachers had something In which to carry all their new classroom materials. Today we visited Sr Hirayda’s school. It is a school of nearly 1500 students, preschool to high school. Sr. Hirayada is the women in charge of the whole place. We went from classroom to classroom introducing ourselves. Students seemed to enjoy hearing that we were from Texas but even more impressed that one of us sent rockets into space. The youngest students were in a party mood as they celebrated the national week of early education. There was music, cake, clowns and piñatas. After our tour, we visited with Sister about possible partnerships. We were grateful for her time and the attention of all the teachers there. We very much look forward to returning. WGC early childhood project was invited to give a parent workshop as part of the CELEBRACION DE EDUCATION INICIAL. 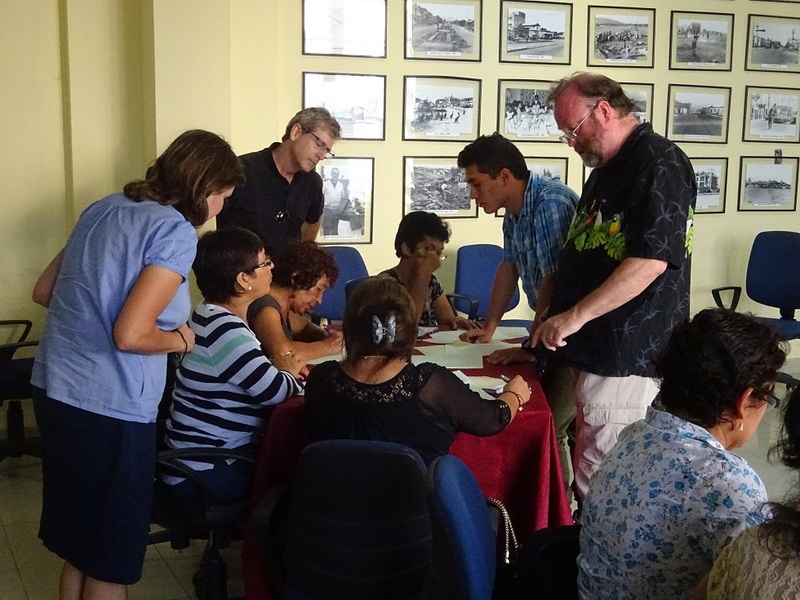 Ana DeHoyos- O’Connor gave the workshop while Liri Falcon and Amado DeHoyos kept the children busy. 54 parents participated. The morning ended with lunch and delicious pastries. We consider it a success because we were invited for next years celebration! Today was another early morning start as we set out to visit early childhood education programs in the Chimbote area. 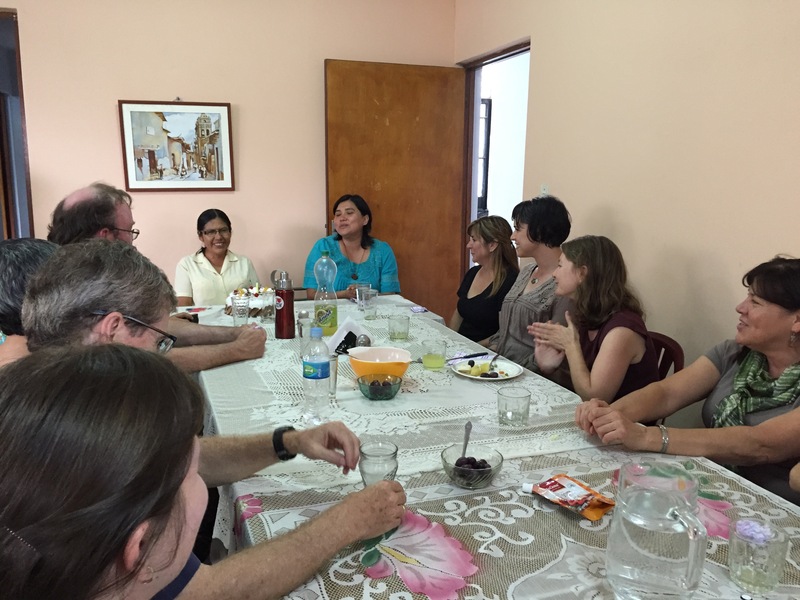 Ana DeHoyos-O’Connor of San Antonio College, Lori Falcon of The University of The Incarnate Word visited their colleagues’ programs. 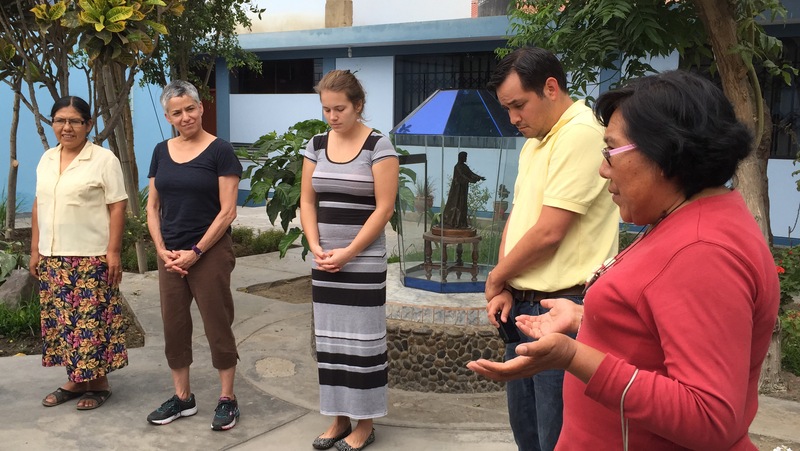 Incarnate Word missionary, Tessa Cornally led the way to our first stop at Mi Niño Jesus PRONEI in Chimbote. 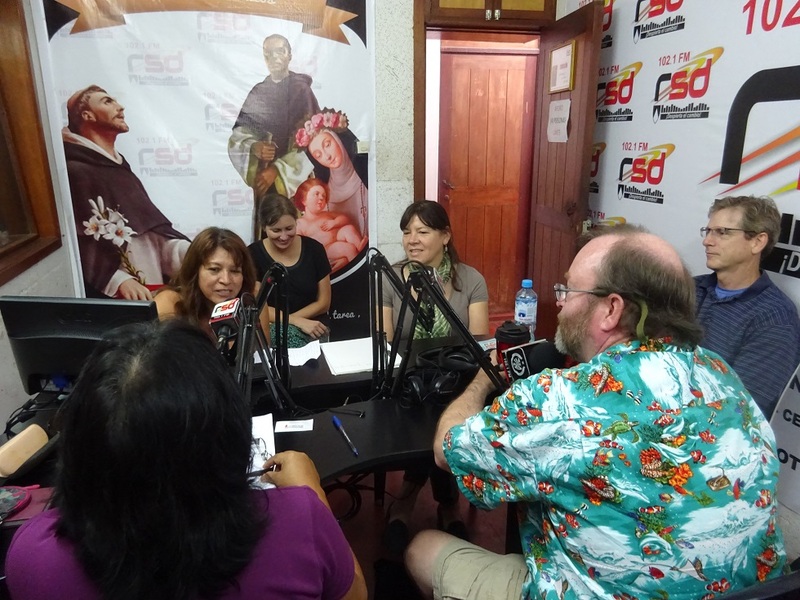 We took time to talk to program coordinator Elvira Ponce Cortez and classroom teacher Maribel Aguila. 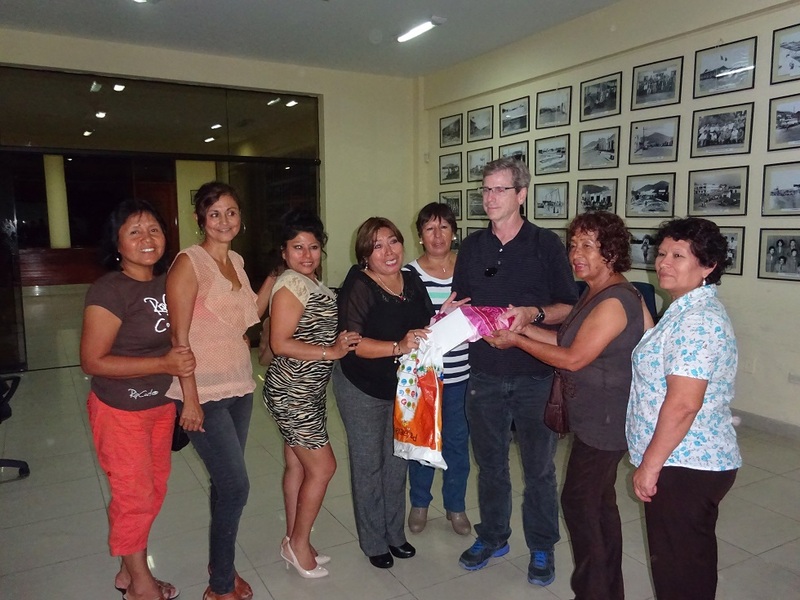 Then we went out to Nuevo Chimbote to see Pushaq Warmi member Edith Flores at her newly located PRONEI. By the end of our visits the sun was out in full force. We had a tasty midday meal “a la menu” a block from the Cathedral in Nuevo Chimbote. It was a full morning. This afternoon, Professor JT Nelson took center stage to help deliver a lesson on the basics of accounting to the Pushaq Warmi women. In his own words, “this is something that usually takes my students 6 weeks to get under wraps”; we were trying to help deliver the same general lesson in 2 hours. Over the course of the lesson, looks of confusion gave way to looks of understanding and then to contemplation as the group began to take the next steps in applying what they’d learned to their own financial dealings. 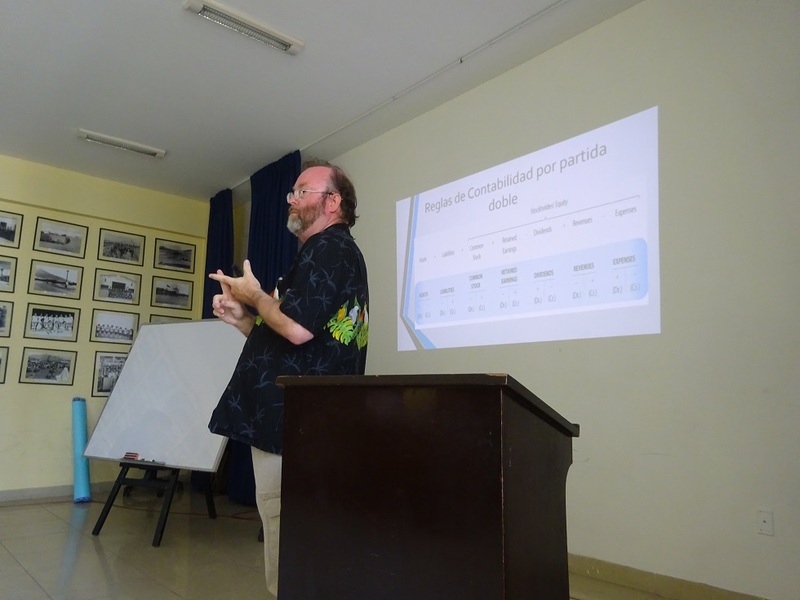 With local student (Frank) translating, the message was delivered clearly in ways that were understood by all (even the supporting presenters and missionaries admitted to learning a few new things). The lesson was a group effort all the way around. 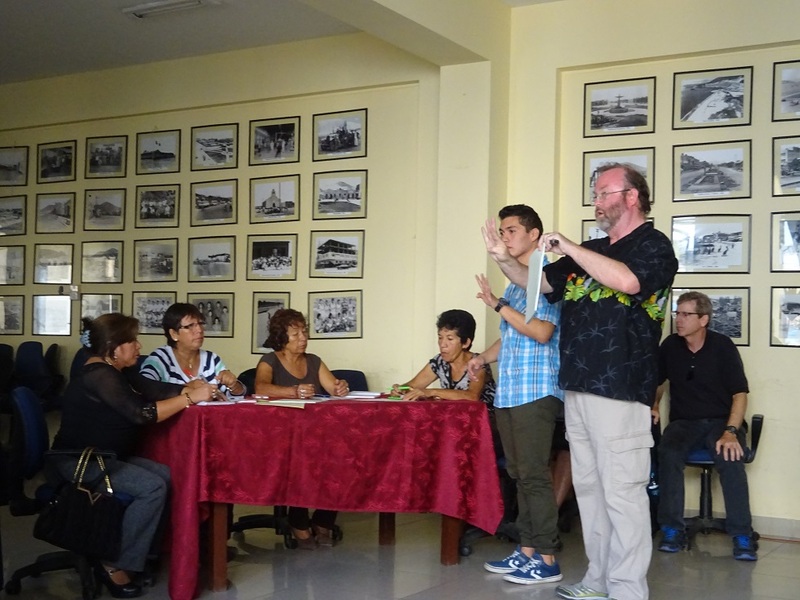 After the presentation, the Pushaq Warmi group presented Professor Michael Forrest with a gift to recognize his donation and a card for both of the professors for the help that they’d delivered in their sessions this week. 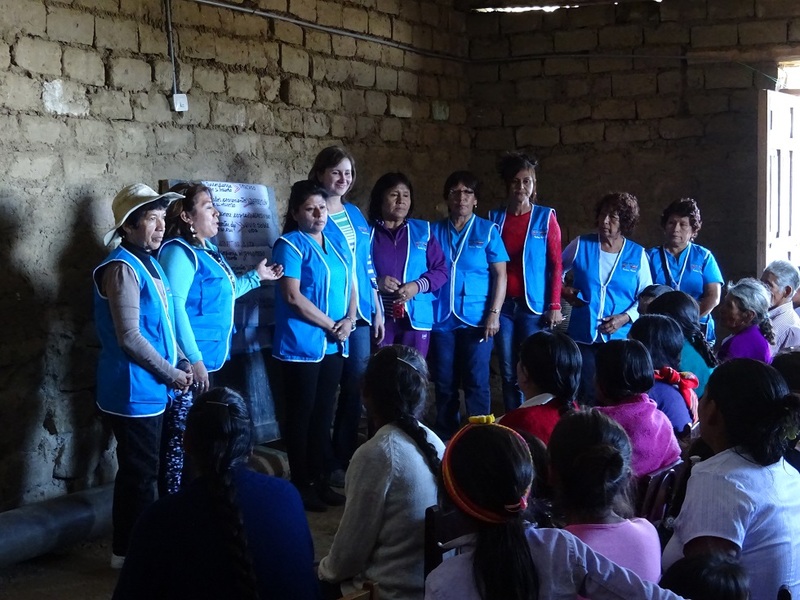 The women will be following up periodically over the course of the coming year with progress reports (records and ledgers) to show that they’ve put the lessons imparted to good use. With a bit of leg work, these general accounting lessons will hopefully be the building blocks of a successful and growing business venture. Sunday was a blessed day. 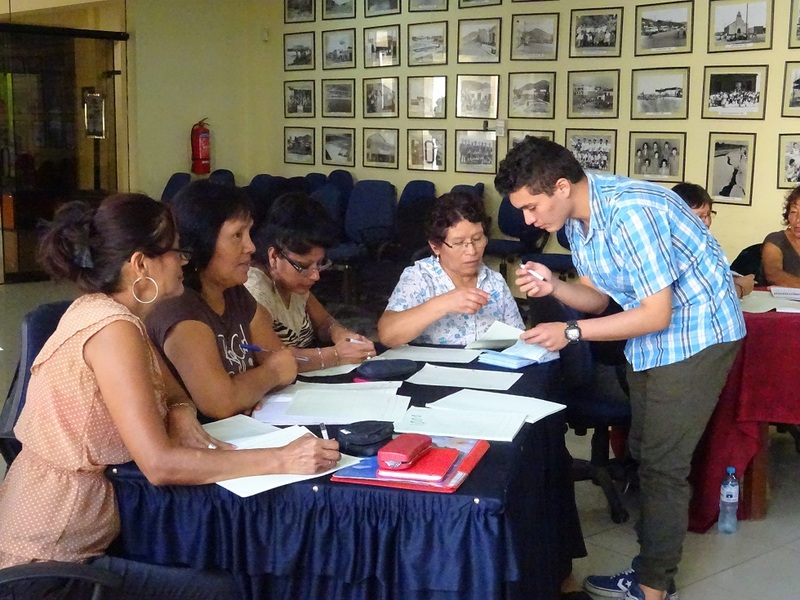 It was filled with a bit of work and then a wonderful meal with CCVI Sisters in Chimbote. Sr. Hirayda led us in prayer as we thanked the sisters for their support. We also asked for prayers to accomplish good work while we are here. 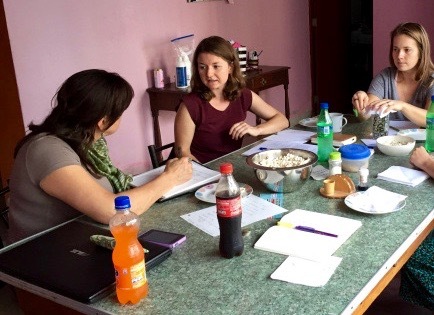 Then Ada and Lisa also had a most productive meeting with the Incarnate Word Missionaries. We finished the day with a laughter filled dinner. It was a good day. 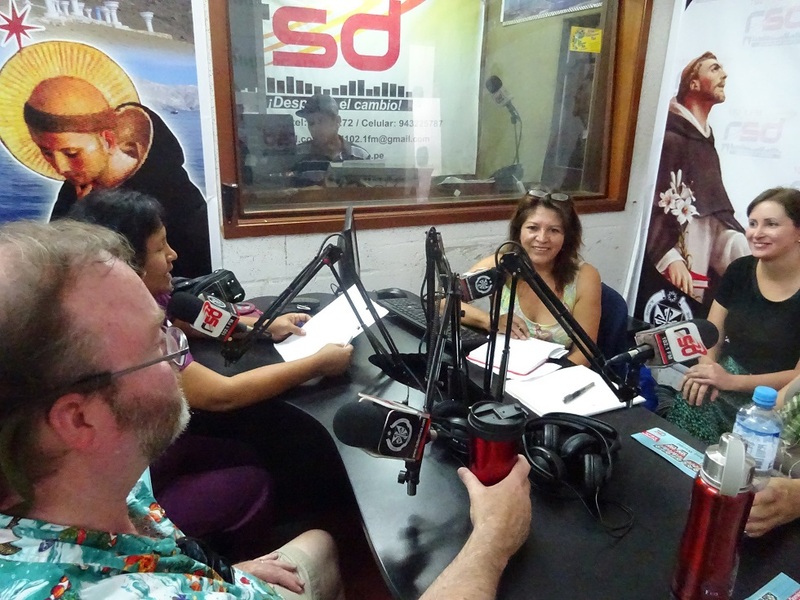 This morning (Sunday), Ada and Niki took JT and Michael to be interviewed live on the Pushaq Warmi radio show. The hosts asked JT a number of basic business questions and he was able to deliver answers that would be helpful not only for enterprising business owners in the area, but also for taking care of local family finances. Ada Gonzalez was handling the translation between the Pushaq Warmi women and JT and did a great job of making the transitions from question to answer seamless. Back in the hotel, the remaining group experienced a brief internet outage. However, the hotel staff was nice enough to locate a radio and the group listened in (FM-102.1) to catch some of the live radio broadcast! 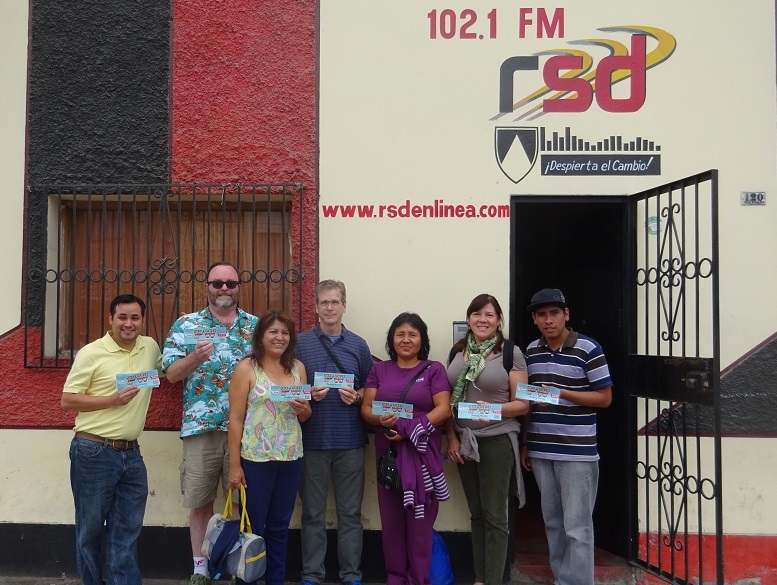 After the broadcast, the full group got together for a photograph to celebrate a job well done (and to shake off any remaining nervousness from the live, multi-lingual interview). The day was a busy one, business workshops in the morning and ECE workshop prep. We had lunch together and shopped the beautiful artisan crafts of Pushaq Warmi. Day one is done – arrived, had lunch, ECE workshop, and dinner with Pushaq Warmi. It was a full day. Lisa Uribe, Ada Gonzalez, Ana DeHoyos-o’Connor. Amado DeHoyos, Lori Falcon, Michael Forrest, JT Norris and Denise Ramon.